If you have CoC Accounts banned, receive notifications ” You have been banned! We have detected the use of ‘mods’ or ‘bots’ on this account “or something like that, this approach could be to overcome the problem. Obviously, no matter where we are, when the games where we’ve struggled reached its highest level with all power and effort, but it should be banned suddenly. Shock? Obviously, but what would you like in the word, Supercell own ‘tap hammer’ that we are guilty. Not that can not defend himself, we can still appeal to get us back CoC account. While this is not absolutely certain. It could be our account back, but do not expect with something uncertain. Because Supercell not necessarily want to open hearts, so it’s better to make a new account and try to play back. Actually, there are many reasons why we CoC account got banned by Suprcell. Mostly due to the use of mods and boots, others for fraudulent use of means of hacking or cheating . The other reason for our dirty words in chat CoC, or even banned for explicit pictures that we post. Name or ID, Townhall, Clan, Exp Level and contain a description of your defense, that you are not cheating (if you are never cheat, but hit the wrong target victims Supercell). Can be filled with any information that might be made hearts melt Supercell and want to reopen your account. My coc accounts is being banned for two years can u please reopen my clash of clan..
As mentioned above you can mail about this issue to COC . If you still face any kind of Issue feel free to contact us. Don’t worry you still have an option to recover your account. Just Fill out the form and send to Instagram. Soon as possible you will get a response from them. If you still need any help don’t hesitate to Contact Us. man i use x mod on past and my account got banned.i regret my fault and fill coc form several time but they didnt open my account.if there is other ways ,please help me. Plz help me my coc is Permanently banned … Can I get back ? My coc acc has banned plz help me to unban my account . You can try above method ,if you face any kind of issue you can mail us. More than 20 account has been Recovered by visitors. The number is only informed users excluding non informed users. Plzz someone help me . I have 2 account in coc. Th 8 and th 9. Both account has got permanently banned. Plzzzzz someone help me to get back my banned account. Have u tried the above method. i got banned of 14 days .. but after 14 i will get my account back or not . Yes, Your account will be unbanned automatically. Until this time never use any 3rd party application to unban your account,that might lead to permanent ban. Description: I’m not cheating, but getting banned. The only way to recover your Banned account is by contacting COC by above method. Try It, if you still have any issue contact us. Can you explain which method you have used to login your COC account. If there is no account linked with COC, It’s impossible to recover your COC account. My account is banned for 14 days and i need it i didnt hack or cheat even once im just plying????? That’s Temporarily Banned, Don’t worry you will get your account back in 14 days. 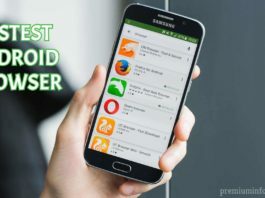 The ban might be due to Login from Different IP Location in short period of time or You might accessed your account from different mobile in short period. Its Temporary Ban Don’t worry you will get back your account in 14 days. Don’t use any Bots or Automatic method which will led to Permanent ban. Remove your account from all bot activities soon as possible. Your account is still safe, if you continue to use any bot. There will be a permanent ban. My account is banned for 14 days plz help me to get it back. Hi Akhil, Don’t worry it’s temporary ban, Your account will be unbanned after 14days. But don’t forget to remove your account from all bot activities if any. Hi.. my account was banned last September and i forgot my ID and EXP level.. please help me to recover my account thanks. That’s temporary Ban as I said before in many comments it’s will be unbanned automatically after 14days, Just remove your account from all bot activities if any. Yes you will get back your account. Pls bring back my account. I was banned in almost 1 year, i miss the game..
Sir please please please please help my coc account had banned permanently. I want it back please help me. We have quoted multiple times we don’t have any contact with COC , The only way you could approach COC is by mail that we have explained in the post. My th7 max Id is permitaly banned!I am not chit with super sell.but they banned my id.this is th7max is.my fb id name is arif Islam nirob. Hello plzz can you unban my coc account and i hope you will do because i have done nothing wrong.please unban or recover my account. I am sorry please give me back my village. Remove ban from my village. 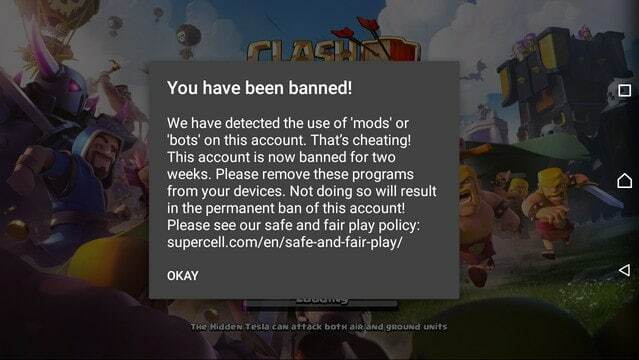 Supercell I do not cheat in the game i get banned from no reason please give me back my account. Hello plz unbanned my account I will never phishing again because that’s my lesson to be learned and really want my account back My name of my account ReubenThePig Th 8 Xp 82 and this is my email howellgriffpimentel@yahoo.com I hope you.will understand my problem. My account has been banned so please recover my account. I am very happy for banning my coc account, I am addicted, but now I am free, I save my money, I can spent more time with my family and live happily, I have more time to work many more ……. Actually you have to forward this message to supercell. That’s the only way you can proceed to recover your account. Unabn my account please ??????????????? ?please ???????????????? Hi my account is banned so felling bor but automatic banned my account name thara /xp level 10 /th 4/ clan name sri lankan roxx / feeling bor so unabn my account please???????????????????? please???????????????????????????? Clan name: no clan. I havent cheated i just got parmanent band.plz un bann me. My acc was banned permanently in coc….it says i was banned because i was fishing an acc….im just trying to retrieve my lost acc….but now i cant even see my acc….so sad…. My account th8 in clash of clans was banned due to account phishing attempt..I don’t know the reason why my account was banned .I don’t even cheat.steal or saying a bad comment in my account.Im so sorry for the interruption but please back my account as soon as possible.Thank you!